HOUSTON – Early voting for candidates and propositions is currently in progress, from Oct. 21 through Nov. 1. Election day is Tuesday, Nov. 5th, from 7 a.m. to 7 p.m.
One ballot position of local interest is a trustee election for Aldine ISD. The incumbent Jose Palacios is running against Patricia Ann Bourgeois. Palacios was appointed to the position last August after the retirement of trustee Marine Jones. 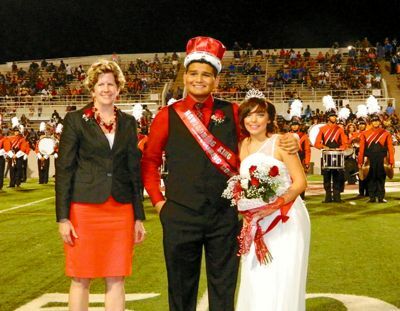 Palacios has six children that have attended or graduated from Aldine schools. Other AISD trustees running unopposed are Rose Avalos, Rick Ogden, and Steve Mead. Harris County Clerk Stan Stanart has reported that early voting is running heavier that last election, apparently because of the interest in the mayor’s race, pitting incumbent Annise Parker versus challenger Ben Hall. He also said that the heavier turnout could be related to interest in early voting due to the requirement for a photo ID. The ballot is long, and this favors early voting, too. 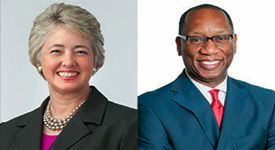 Ballot choices include 9 Constitutional Amendments, the Mayor’s race, City Council seats, Houston Community College trustees, Houston ISD trustees, and two propositions related to the Astrodome and a joint processing center for arrested individuals. In addition to Parker and Hall, seven other candidates are on the ballot. Parker is running on her record of services with low taxes, and Hall is challenging on job and economic growth issues. Stanart said that in the first week of early voting, he had received almost 30,000 votes, of which 10,000 of those are mail ballots. He said that this was double the amount from the election two years ago, and the most he has received in early voting in the last 12 years. A complete guide to the elections is available from the League of Women Voters, at www.lwvhouston.org. The nine amendments require study to know how to vote, but most sources recommend a YES vote on all nine. The proposition receiving the most attention is #6 creating a Water Fund for future water projects in the state. It allows $2 billion to be transfered from the “Rainy Day Fund” into a revolving loan account that would be used for state-wide water projects, and then repaid for ongoing new projects. The other amendment of interest to many is #5, which allows Reverse Mortgages to be used for second homes or downsizing to another homestead residence. City Council race for District B finds the incumbent, Jerry Davis, facing three challengers. The main issue will be whether Davis has done a good job representing this district. City Council District H is now represented by Ed Gonzalez, who does not have an opponent and will be reseated. Voters also will vote for “at-large” candidates for city countil, and some familiar names are on this ballot position, including Roy Morales, who ran previously for mayor, and Brad Bradford, former police chief. Controversial City Controller Ronald Green is challenged by Bill Frazer, an experienced CPA. Frazer is endorsed by the Houston Chronicle over Green. The ballot will include election of new trustees for Houston Community College, and running are incumbents Yolanda Navarro Flores and Bruce Austin, as well as challengers. For those who live in the city, they will vote on Houston ISD trustees, too. These include incumbents Anna Eastmen, the current president of the board, and Harvin Moore. Depending upon where you live, you might also be asked to vote on local issues such as MUD (Municipal Utility District) bonds. The East Aldine Management District will have a proposition on the ballot to collect a 1 cent sales tax in recently annexed areas of the district. This tax does not affect local residents, except for purchases in those areas. Funds are used for district projects. 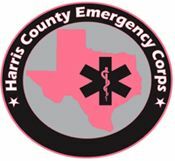 NORTHEAST – The HCEC (Harris County Emergency Corps), who runs the ambulance and EMS service for the Aldine area, has proposed a new home visitation service for “frequent users” of the 9-1-1 system in all of Harris County. The goal is to reduce the unnecessary 9-1-1 call utilization. HCEC will identity and enroll residents who qualify for this service in a CHP or Community Health Paramedic Program, which will initiate weekly visits to the homes of persons with health needs. Then they will provide education, medical evaluation, ensure medication and treatment compliance, and in the process reduce the number of unnecessary ambulance calls and emergency room visits. 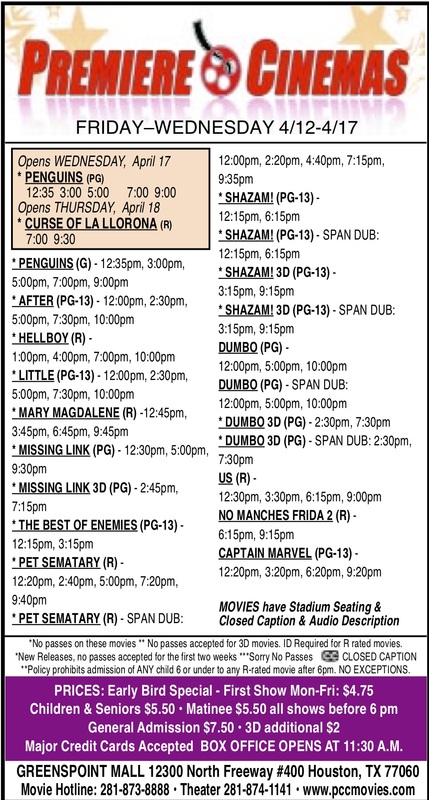 Residents within ESD#1 and the East Aldine District would not be charged for these services. When enrolled, patients will receive weekly home visits by a paramedic for the first month. HCESD#1 has budgeted $144,204 for the first year of this program, and has received a grant from the East Aldine District for $60,000 toward expenses. The balance will come from grants and other sources, they said. In their presentation to the District, HCEC said they responded to 18, 792 calls for service in a year’s time, and that 6180 of these came from the East Aldine area. Of those, 40% or 2927 were repeat users, that would qualify for this service in lieu of ambulance transport or EMS help. HCEC hopes to reduce unnecessary calls by up to 85%, in line with national studies. In approving the grant, EAD president David Hawes noted that this service is within the goals of the district, to improve the quality of life for residents. Four students from Aldine High Schools were chosen to attend the HOBY leadership seminars, taking place annually at a three day retreat at the Texas A & M campus in Galveston. HOBY stands for Hugh O’brian Youth Leadership Foundation, founded by the namesake actor after an inspiring visit to Dr. Albert Schweitzer in Africa. 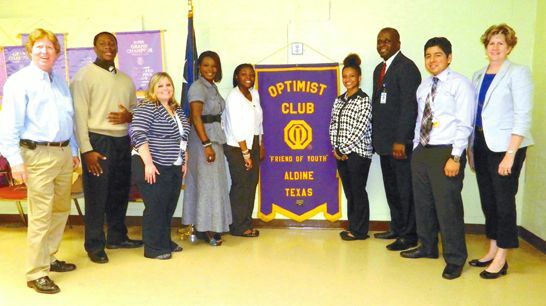 Although HOBY is an independent organization, it is sponsored in Aldine by the Optimist Club, with the help of Aldine ISD. This year, students from MacArthur, Davis, Aldine, and Carver high schools were chosen, although students from anywhere are eligible. The stay for students at Galveston included fellowship, leadership training, personal development, and seminars with business and education leaders as speakers. Each of the HOBY students is challenged to “do their very best in school and life.” The four students made individual reports of their experiences to the Optimist Club at their regular meeting last Wednesday, and it seems each benefited greatly from the experience. This is the time of year taxing entities set budgets and tax rates for another year. To date, Houston ISD has voted a major increase of 3¢ per $100 valuation, and Aldine ISD has lowered their rate by 2.25¢. Others are expected to hold their rates, because property valuations are increasing this year, resulting in more money for most entities, in spite of no rate change, or a small changes. Local districts that have not changed their rates to date include Houston Community College, City of Houston, and Harris County. Harris County Flood Control has proposed a small increase, and ESD#1 a small decrease. However, some of their tax bills will increase, depending upon the appraisal value of your property. This will also create more income for the taxing units. October 10, 2013 – The HISD Board of Education on Thursday adopted a 3-cent property tax rate increase. This represents the first such rate increase since 2001. The new property tax rate of $1.1867 per $100 taxable value is nearly 24 cents less than the average Harris County school district – maintaining HISD’s position as having the lowest rate of any district in the region. The tax rate measure was adopted by a 4-3 vote with trustees Larry Marshall, Paula Harris, Harvin Moore, and Rhonda Skillern-Jones in favor, and trustees Anna Eastman, Michael Lunceford, and Juliet Stipeche opposed. Because the new tax rate does not cover all of the district’s financial obligations for the current school year, the board also agreed to use $4.9 million in savings from prior years to balance the budget. In addition to having the lowest tax rate in the county, HISD is among just eight county school districts that grant homeowners an additional 20 percent homestead exemption. As a result, the owner of a $200,000 home in HISD pays hundreds less in taxes than the owner of a home with the same value elsewhere in Harris County. Harris County school districts with higher tax rates in 2012 than HISD’s 2013 tax rate include: Aldine, Alief, Channelview, Clear Creek, Crosby, Cypress-Fairbanks, Dayton, Deer Park, Galena Park, Goose Creek, Huffman, Humble, Katy, Klein, La Porte, New Caney, Pasadena, Pearland, Sheldon, Spring, Spring Branch, Stafford, and Tomball. HISD spends less on administrative costs than most other large Texas school districts – having an administrative cost ratio of 4.61 percent, which is less than those reported for Dallas, Austin, and San Antonio, just to name a few. The rate change largely results from cuts to public education funding that the Texas Legislature imposed in 2011, which cost Houston schools $75 million in 2011 and a total of $122 million in 2012. In the first year of those cuts, HISD balanced the budget by cutting expenses, resulting in layoffs in central administration and in schools. In 2012, rather than imposing further cuts on schools, the HISD Board of Education agreed to address the remaining deficit though the use of one-time federal money, and by dipping into savings. The district also reduced the amount of general fund money that is normally transferred to the district’s debt service fund to help repay loans at a faster rate than is required. The Houston Independent School District is the largest school district in Texas and the seventh-largest in the United States with 282 schools and 210,000 students. 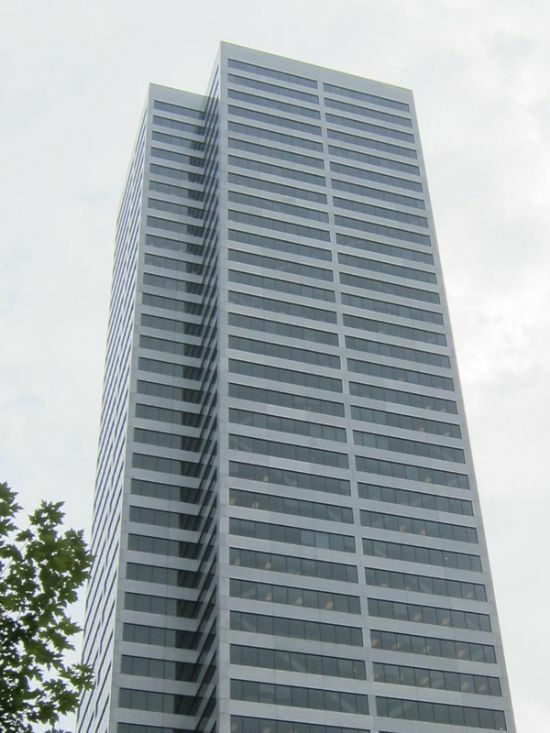 The 334-square-mile district is one of the largest employers in the Houston metropolitan area with more than 25,000 employees. The East Aldine District in partnership with Harris County Precinct 2, invites the community to the “Fun Fall Fest” on Saturday, October 19, 2013 from 10am-2pm in Bill Crowley Park located at 5700 Lauder Road. 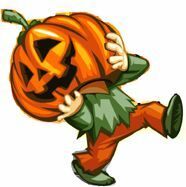 A FREE goodie bag & a pumpkin will be given to the first 250 families (NO pets please). Other activites include games, face painting, a dunking booth, lots of music, food and much more. Wear your Halloween costume if you wish, but everyone should come and have a good time with their community. (HOUSTON, TX) – The Harris County Sheriff’s Office has partnered with Crime Stoppers to collect used cell phones and accessories during Domestic Violence Awareness Month. The used cell phones and accessories will be recycled. Proceeds from the recycling will be used to purchase prepaid phones for victims of domestic violence. “Sometimes a single phone call for help is all it takes to save someone from an abusive relationship. And we want victims of domestic violence to report their abusers,” said Sheriff Adrian Garcia. HCSO Mission Bend Storefront | 7043 Hwy. 6 South, Houston, TX 77083. Thorne Stadium was the site of a close game between rivals MacArthur Generals, and the Aldine Mustangs, as the game lead went back and forth right down to the end. This also was the MacArthur Homecoming game, with a capacity crowd on that side of the stadium. The Generals scored early, with a march down the field and a 1 yard TD run by Joseph Pellerin. But Aldine countered with offense in the second quarter, with long accurate passes by QB Kendarian Carter, who had 117 yards for the game. His receiver was Joe Lewis, with 7 catches and 120 yards. At halftime, the game was tied 7-7. MacArthur’s RB Derrick Ford continued to rack up yards, as he has all season, with 147 yards on 27 carries. However, Aldine lead for most of the second half, and only in the final minutes did the Generals manage to pull out a win. With 32 seconds left, Pellerin passed to Elushua Williams, who pulled in the pass over his shoulder on the goal line. With this game, the Generals record goes to 4-2, while the Mustang record is 0-5. 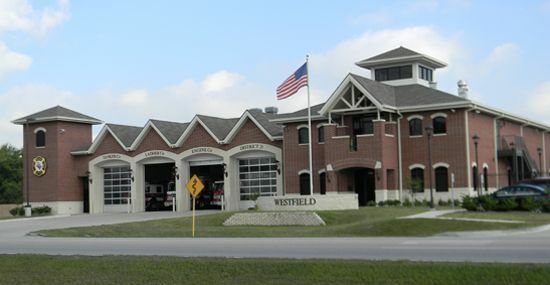 NORTHEAST – A Local television station, Channel 11 KHOU, aired an investigative report last week stating that Westfield Volunteer Fire Department had misused taxpayer funds for personal expenses, instead of firefighting needs. The I-Team investigation and story was a result of research into fire department records, accessed through the Texas Public Information Act. The report was led by Channel 11 newsman Scott Noll, who told the Northeast News that this investigation by the station had been ongoing since last January, after the fire chief and two assistants resigned in December and January. Noll did not disclose where his original information came from. He emphasized that no criminal charges, and no admission of guilt, had been made by any party, but he said that the Harris County District Attorney’s office is investigating. When contacted by the Northeast News, the DA’s office did not offer any further information on the case. Noll said that about $40,000 dollars in “questionable” expenses were charged to the Fire Department’s credit cards between December 2010 and May 2012. These included such non-departmental items as a treatment at a Day Spa ($468), purchase of women’s clothes ($400), and make-up ($700). Noll also cited travel bills that on the surface did not seem related to fire department business, including hotel bills of $2300 to San Antonio and Austin, and a $2500 trip to Lake Charles, Louisiana. He said that the department records do not include receipts for most of these expenses, so it is hard to tell who made the charges, and in the case of the trips, for what purpose, personal or fire dept. However, former fire chief Maurine Turrentine, Deputy Chief Tony Searcy, and brother Assistant Chief Tommy Searcy have all resigned from the department and the governing board in December and January. Noll said that Turrentine has a personal loan of $11,000 recorded in the department books, but has since repaid at least $5000. Records show that Tommy Searcy repaid $18,000 since his resignation, according to the KHOU investigation of the department’s financial records. Westfield VFD is supported by Harris County Emergency Service District #25. Last year, they raised $1,192,758 for the department, based on a property tax assessment of $.10 per $100 of assessed value. This year they are considering a small increase, to $.102186 per $100. ESD#25 board member and treasurer Shirley Cody said that they had not examined the department’s books, and were not aware of the unsupported personal expenditures. When contacted by the Northeast News for a statement from the fire department, spokesperson Chris Turrentine said that it appears Westfield VFD is the victim in this malfeasance, and that current leaders including the new Fire Chief Gary Vaughan are working to insure the matter is resolved and not repeated.